For decades, Americans have used credit cards to fund their purchases today, while paying for them later. However, the millennial generation is changing those rules. 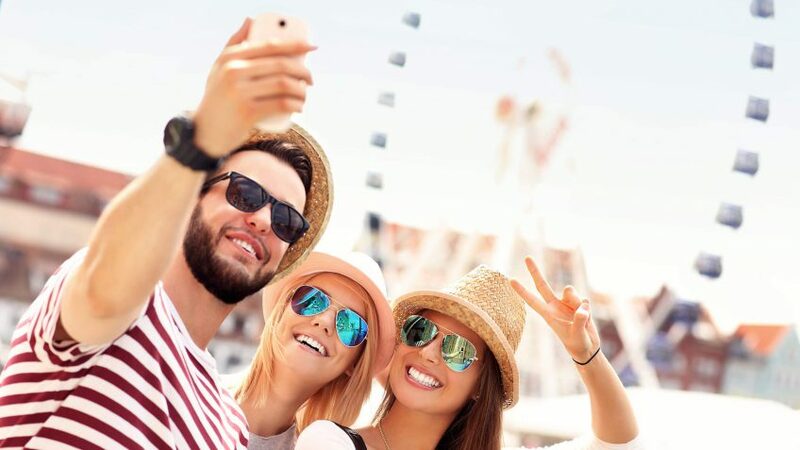 In fact, millennials prefer to use cash, checks and debit cards over credit cards when spending, according to TD Bank’s Consumer Spending Index, a survey which polled more than 1,500 consumers ages 18 to 70 with a household income of at least $50,000. The Index found that each year, the average American spends $4,700 with a credit card, and $2,400 with cash, a debit card and checks for discretionary purchases. By contrast, millennials spend $5,200 using cash, a debit card and checks, but charge just $3,300 to a credit card. That’s 22 percent less than the average consumer. Additionally, millennials use cash, debit cards and checks for 50 percent of their overall monthly spending — and only use credit for just 33 percent of purchases. Keeping plastic tucked firmly inside a wallet sounds like a great strategy for anyone trying to avoid debt. But, many credit cards offer big benefits you don’t want to miss out on. Click through to find out what can happen when you don’t use credit cards. By paying with cash, buyers miss out on cash back and other lucrative rewards. For example, depending on how much you spend, you might accumulate $150 in cash back over the course of the year if you get a rewards card that gives you 2 percent cash back on dining and 1 percent cash back on all other purchases. For some consumers, that $150 can add up to a month of free gas or several months of free coffee. Choosing cash over credit means “consumers are leaving that money on the table,” Pukas said. Without a credit card, you will have a tougher time building credit. By opening an introductory credit card account, making on-time payments and keeping balances low, young consumers lay down a foundation for a strong credit history. Mortgage lenders look at a variety of factors when making decisions about loans, but they put a premium on credit history. Consumers with good credit qualify for far more attractive loan terms, according to the Consumer Financial Protection Bureau. MyFICO has a loan savings calculator that makes the benefit of a good credit score crystal clear. Input changes to a hypothetical credit score into the calculator — while keeping all other variables the same — and you will see how a lower credit score can cost you tens of thousands of dollars over the life of the loan. Like mortgage brokers, auto lenders factor credit heavily when making decisions about car loans. Few Americans have enough money on hand to buy cars with cash, so most end up financing their purchase. Good credit — which can be built and maintained through the responsible use of credit cards — can help you get much better auto loan terms. In the age of identity theft, all consumers are at risk of being victimized by someone who might steal their card or card number, hack into their account or otherwise spend their money fraudulently. It is much easier to flag and reverse charges on your credit card than it is to recover money withdrawn from a bank account through the dishonest use of your debit card. If you use a debit card instead of a credit card, it might cause some unexpected issues. For example, hotels and rental car companies often temporarily put a monetary hold on debit cards if you use them to check in, which reduces how much money you have in your bank account. Once the businesses are paid in full, they reimburse your money. However, reimbursement can take time, leaving you strapped for cash or possibly facing overdrafts if the money was held on a debit card attached to your bank account. Have you ever purchased an item, only to find that its quality was a bit less than advertised? If you pay with cash, you might be out of luck in terms of getting a refund. At the very least, you might have to go through a lot of hassle to get your money back. However, if you buy the item with a credit card, the issuer typically will step in on your behalf. “The added weight of the card issuer supporting the individual can move the merchant to fix the situation,” said Scott Vance, owner of Trisuli Financial Advising in Cary, N.C.
Survey after survey shows that most Americans have very little money saved for an emergency. That means they would have a hard time dealing with unexpected medical or dental issues, car repairs or a job loss. Most experts recommend saving and stashing away a bare minimum of at least three months’ worth of expenses. Emergency funds should not consist solely of credit cards. However, a credit card can supplement and support an insufficient rainy-day fund. The more you use a credit card responsibly, the more likely it is that you will be approved for higher credit lines, which can add extra cushion to an emergency fund. Many companies pull applicants’ credit reports as part of employee background checks. Although the practice is controversial, a bad credit history — or lack of credit history — can lower your chances of getting a job for which you otherwise are qualified. Generic cards. These offer points or miles that can be used toward any travel-related expense. Brand-specific cards. Airlines and hotels offer these cards for travelers who stick with a specific chain or airline. Lucrative sign-up bonuses are another benefit for travelers. These bonuses might include bonus miles, a free airline ticket, a free night in a hotel or cash back. Check your credit score for free to monitor your credit usage.